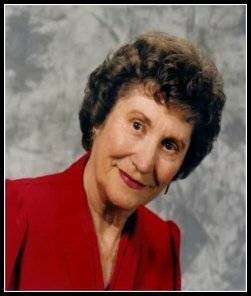 Dorothy Irene Kauffman, age 82, of Galt, passed away peacefully on January 2, 2009, after a lengthy illness. She was born on November 27, 1926, in Scottsbluff, Nebraska to Pete and Eva (Margheim) Hessler. Dorothy was a secretary for many years, retiring from the Lodi Board of Realtors in 2001. She also spent 10 years with the Lodi Unified School District. Dorothy enjoyed reading, traveling, bowling, fishing, and music. She was a loving mother, grandmother, sister, and friend and will be dearly missed. Mrs. Kauffman is survived by her daughters: Terry Becker of Sacramento, Kay (Roland) Hickingbottom of Galt, and Bonnie (Scott) Williamson of Elk Grove; 7 grandchildren, 7 great-grandchildren; and sisters, Eleanor Austin of Sutherland, NE and Loretta Kenyon of Escondido, CA. She was preceded in death by her devoted husband, Fred Kauffman and siblings: Reuben Hessler, Leroy Hessler, and Darlene Johannes. A memorial service was held on Friday, January 9, at 7:00 p.m. at Lodi Funeral Home with Pastor Mike Abdollahzadeh of Lodi Avenue Baptist Church officiating. There is no visitation and committal is private. In lieu of flowers, memorial contributions were made in Dorothy's name to Hospice of San Joaquin, 3888 Pacific Ave., Stockton, CA 95204. A virtual register may be signed at www.lodifuneralhome.com where memories can be shared. Lodi Funeral Home assisted with arrangements.